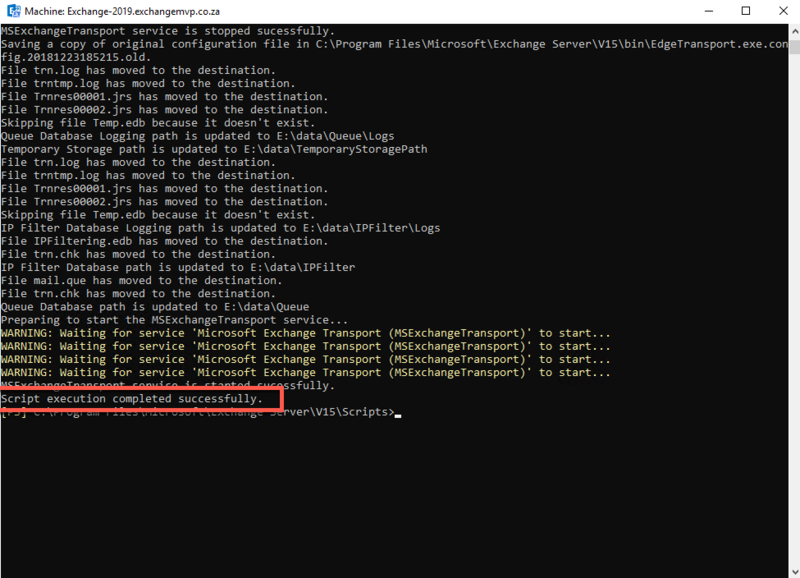 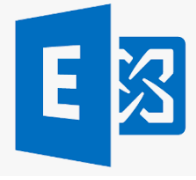 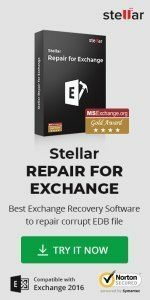 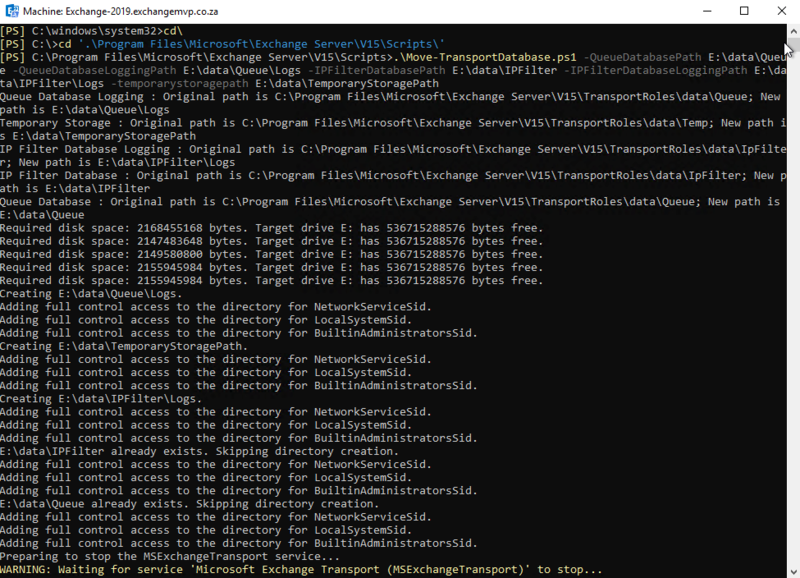 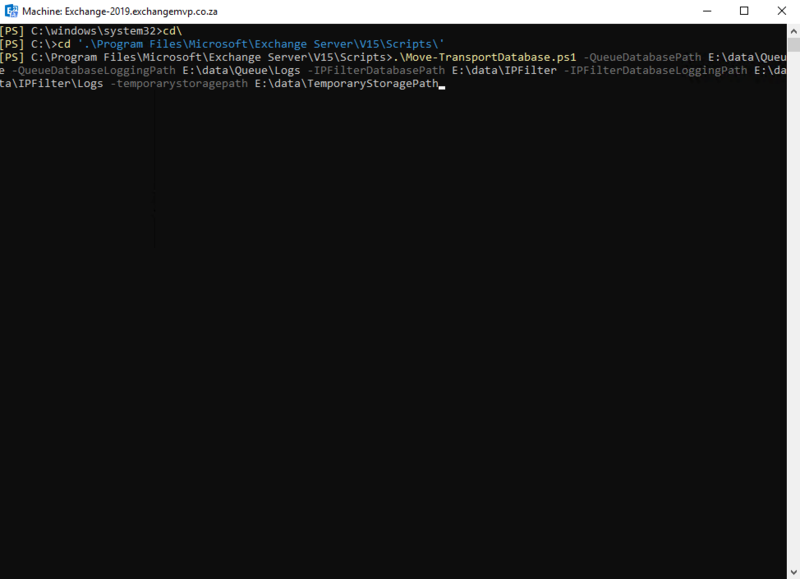 In Exchange, whether it is Exchange 2013 or 2016 and the new version 2019, you can move the transport database off the C:\ drive to another drive so you don’t hit back pressure firstly and run out of space. 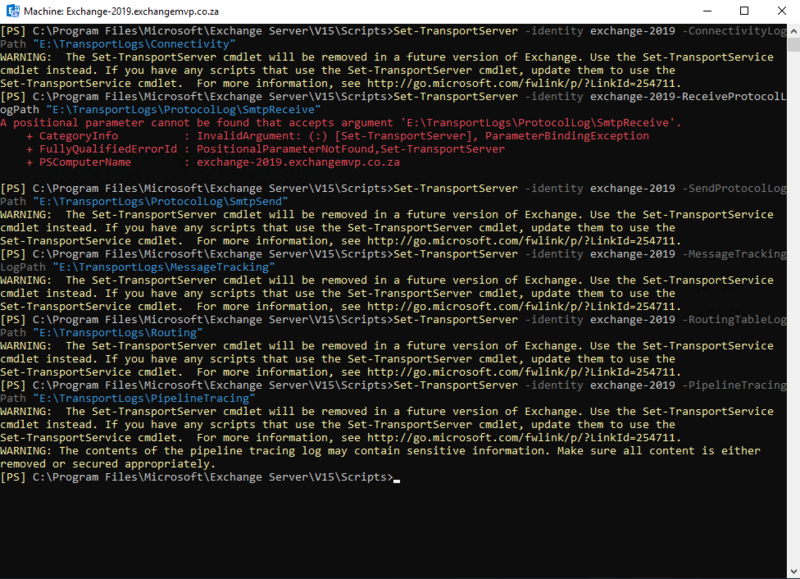 The above command will move it all to the E:\ drive in my instance, yours might be a different letter. 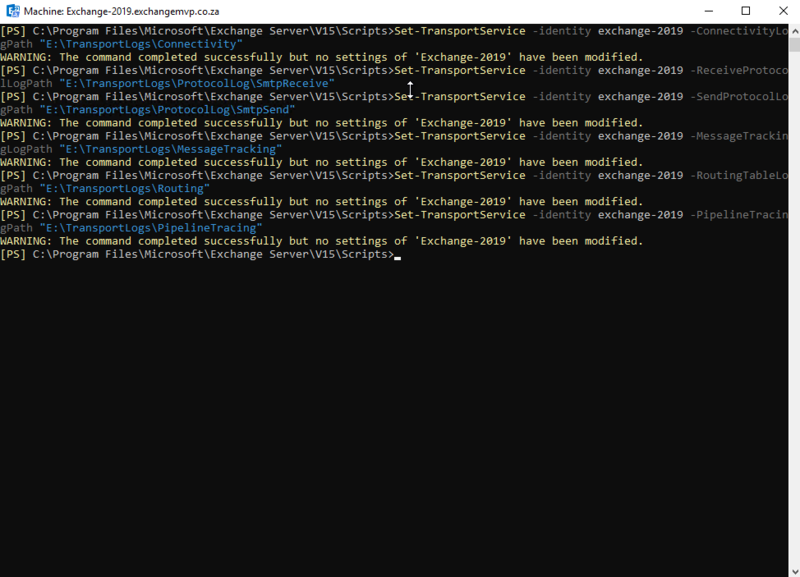 The below commands show my server name Exchange-2019, change it to your server name.